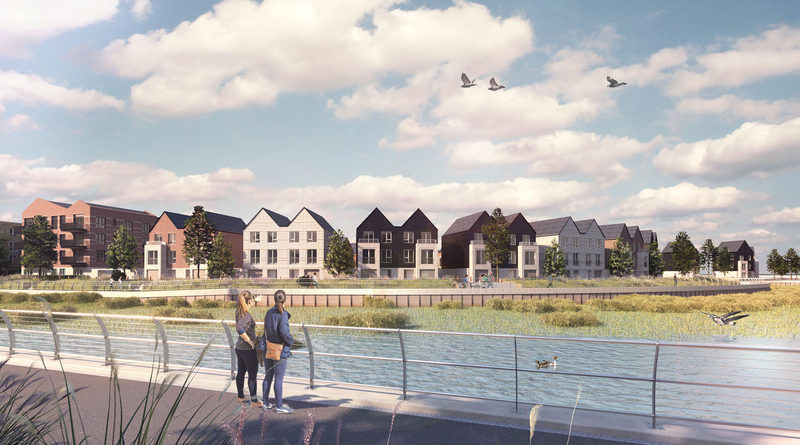 Rochester Riverside, which is located under 40 minutes from London, will provide up to 1,400 new homes and 1,200sq m of commercial space when complete. The site will make a huge contribution to meeting local housing need, with 25% of new homes earmarked as affordable. In total, over 10 acres of new open space will be provided across the project, including 2km of riverside walkway for public use. Construction at the scheme has begun on the first three phases, comprising 489 homes and a hotel, along with 885sqm of commercial floorspace and landscaping. The first wave of new homes is anticipated to complete in the first quarter of 2019. Construction at the scheme has begun on the first three phases, comprising 489 homes and a hotel, along with 885sq m of commercial floorspace and landscaping. The first wave of new homes is anticipated to complete in the first quarter of 2019.